Republic Day in India is a day to celebrate the establishment of the Constitution of India. This year is India’s 68th R Day celebration. 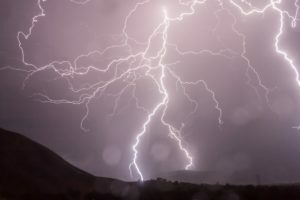 However, strong thunderstorms ruined the celebration when lightning claimed the lives of two students in Rajasthan, injured ten others including three teachers. 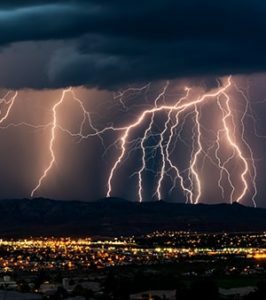 Storms generated 26,426 total lightning strikes during the holiday. The video below shows the steady discharge of lightning moving northeast through Rajasthan. We detected 6,664 in-cloud strikes and nearly 20,000 deadly cloud-to-ground lightning strikes in the region on 26 January 2017. The Indian state of Rajasthan experienced the strongest of the storms. After the holiday, two student deaths and ten injuries rocked the communities of Ajmer and Jaipur. Lightning injured seven female students and three teachers at a school in Ajmer on R Day. The school was celebrating the holiday when the thunderstorms rolled through the state. After the strike, Sarwar officials rushed the injured to a nearby hospital. Thankfully, hospital officials treated and discharged the injured that same day. To the east near Jaipur, lightning struck and killed two students. The students were on their way to school when the incident occurred. While they walked to school a storm began to form. As a light rain began to fall, the students huddled under a tree for shelter. The lightning struck the tree and killed the students instantly. The students, Ganesh Mahawar and Ashok Meena, were around 15 years old. “The students were on the way to school to attend Republic Day event when it suddenly started raining. The duo took shelter under a tree. Lightning struck and they were left grievously injured.” Mohan Lal, investigating officer. One of the biggest killers in India is lightning. 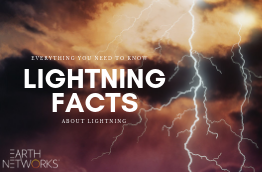 According to the National Crime Records Bureau, lightning kills more people in India than any other natural disaster. Many believe that the lack of forecasting and lightning alerts are to blame. We’re working together with the Andhra Pradesh State Council of Higher Education (APSCHE) to provide weather stations and lightning sensors to India. 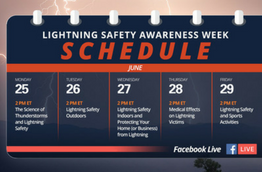 This is a step in the right direction for minimizing lightning deaths in India.